To prevent sunburn, dehydration, and heat exhaustion in the summertime, try to avoid the harsh hours between 12:00 PM – 2:00 PM. 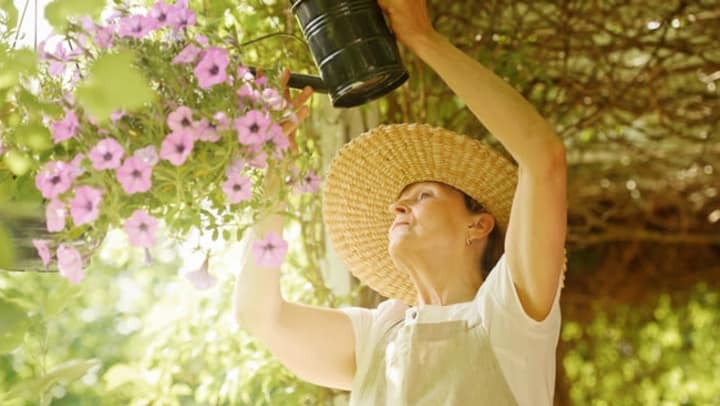 Try gardening in the morning or evening hours, and always remember to wear the proper gear: long sleeve shirts, pants, gloves, a hat, and sunglasses. Ensure that you are well rested, drink plenty of water, and eat a healthy meal beforehand. It is important to know your personal limitations and don't push them! At Rittenhouse Village, we encourage our residents to continue to be active and pursue the hobbies and interests that they love. That is why we keep a full activities calendar with a wide variety of options for our residents to participate in. All of our activities are fun, safe, engaging, and open to participants of all skill levels! Take a look at our activities calendar today and join in on the fun!